Rooms from $138.57 per night. Description This Kennesaw, Georgia hotel has an indoor pool, free internet access and non-smoking guest rooms. Bright modern decor a free breakfast buffet a restaurant pool and free shuttle to nearby attractions GÇö all offered by the Embassy Suites Kennesaw GÇö catch the attention of our guests. All 192 suites in the seven-story Embassy Suites Kennesaw have two rooms with separate living and sleeping quarters two flat-panel TVs a microwave a mini-fridge a sofa bed and plenty of places to plug in all your gadgets. The hotel offers a free cooked-to-order breakfast buffet each morning with plenty of hot and cold items and a manager's reception daily with complimentary beverages. 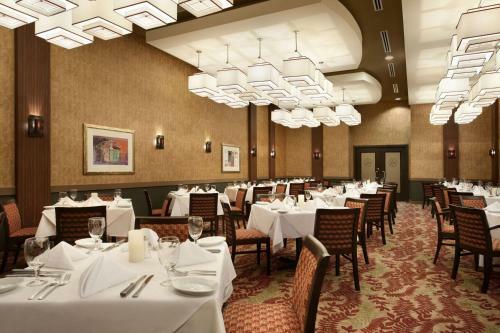 The on-site steak house restaurant offers upscale American fare and the on-site lounge is laid-back and friendly. When your day is done the indoor heated pool awaits and the fitness center will keep you in shape while you're on the road. Business services such as faxing and copying (fees apply) are available for the road warrior. This hotel built in 2009 is equipped with Wi-Fi that can be accessed in all the suites and in the business center (a fee applies except when using the hotel's computer). Parking is free and there is a free shuttle to nearby attractions. 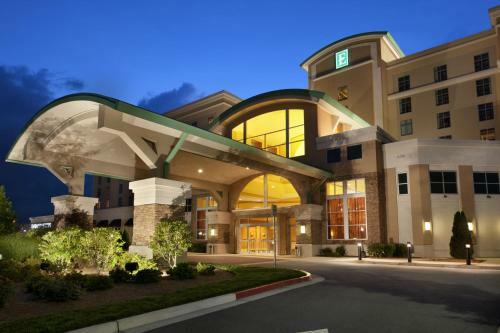 The Embassy Suites Kennesaw is located less than two miles from Kennesaw State University and less than three miles from Town Center mall. Downtown Atlanta is a half-hour from the hotel and Hartsfield-Jackson Atlanta International Airport is 34 miles. 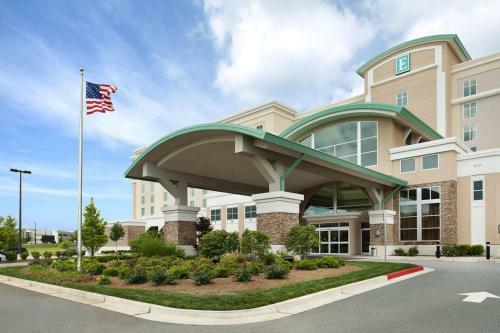 Add Embassy Suites Kennesaw to your free online travel itinerary.